Great news! 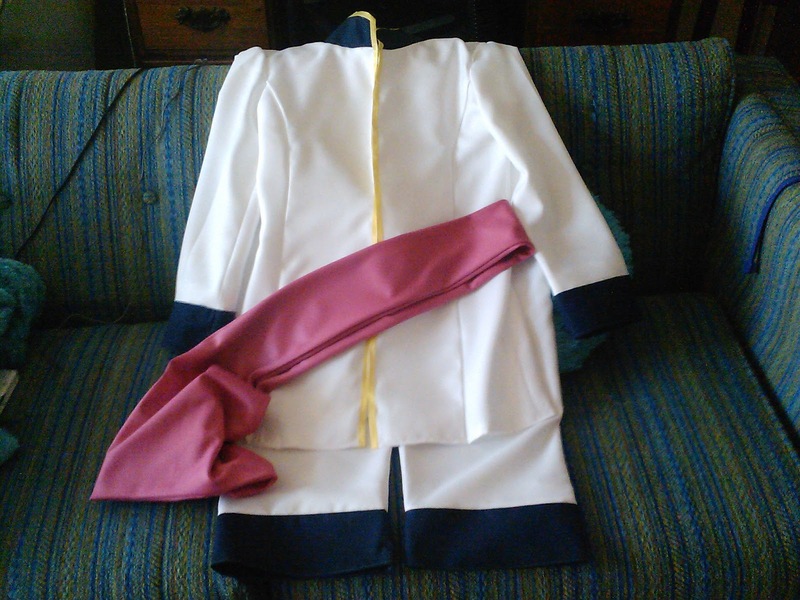 I finished my Shuiichi Kurama costume! Yay! The yellow ribbon trimming? I used hot glue. I intended to sew it on, originally, but did not for a couple reasons: 1) it was easy and required little effort on my part, and 2) without thinking, I sewed metal clasps all the way down the front BEFORE I remembered that it would be difficult to put those through the sewing machine. So, there you have it. Think before you sew. So that is two costumes down. And the wigs are ordered and have arrived, but not styled as of yet. NDK is about a month away. I still need to do my Katamari dress and I think I came up with a pattern (on my own!) that will work. That one will be next. And I do hope my group will be meeting soon so we can finish our heads. We did meet the other day to figure out the faces. Once I put mine together I can show pictures. Cat dyed a chiffon a skin color and we are doing two layers over the mesh on the face. This will allow us to mostly see (at least shapes if not specific people), but since it is dark in our heads, it will be hard to see in. Awesome and genius, right? I am SOOO excited! So, I have to pick up some newsprint paper or something to make patterns on for my Katamari costume, make that, and style my wigs. As for Jareth, I am starting to fear that it will not get done in time.